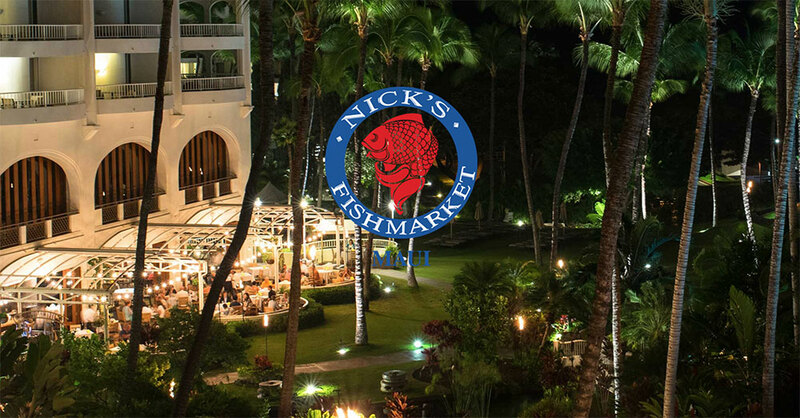 Nick’s Fishmarket Maui is located in Wailea, Maui at the Fairmont Kea Lani Maui. They serve dinner nightly from 5:30-9:30pm, and specialize in cuisine that focuses on the freshest fish and island-inspired tastes. Nick’s Fishmarket blends unique Island tastes with a beautiful atmosphere to create a dining experience like no other in South Maui.